All hail Hans Obrix ! Have him too. 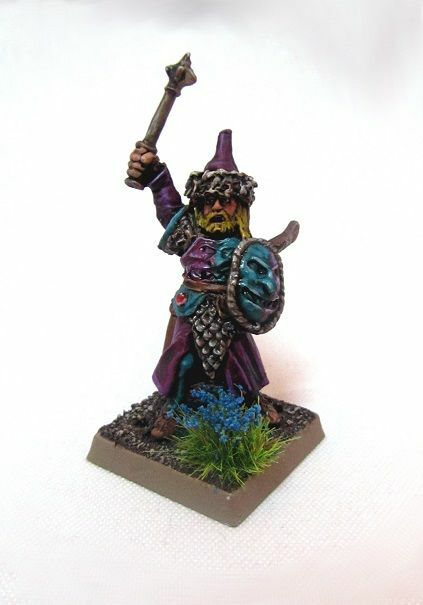 Bought him back in the 90´s when he was in a blister called "adventurers". I guess he´s rare. Painted mine last year in an effort to get rid of unpainted Empire minis. Thought I could use him as a mucisian in a greatswords regiment. -if I ever get to buy those overpriced (both in money and points) troops. Nice find, great paintjob sir. Way behind in reading and replying. As people have already said she is a Mordheim Dramatis Personae special character for the Sisters and is the High Matriarch for the order. 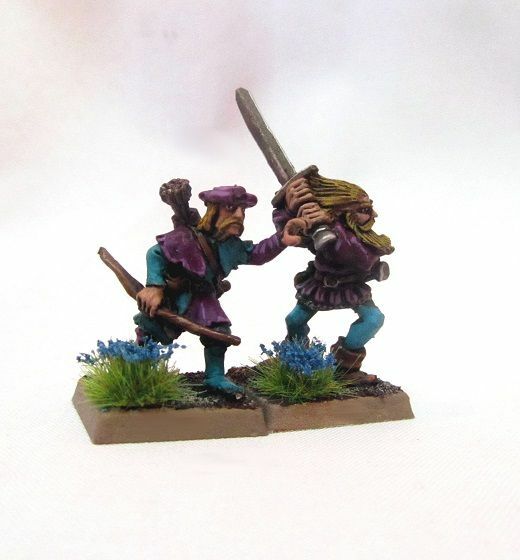 The standard GW model is ok but i for one love Victoria Lamb's conversion much better and would love a copy of it to add to my fav Mordheim warband. Always like your blue and purple combo would you mind if I seamlessly nicked it for a independent character ? If it wasn't for the dried frog pills i would be mad !!!!!!! Love the second from right with the axe Chumley, got the 2 handed sword version without the hat. I like that Cossack chap with the mace, not seen that one before. But I've got that Ranger (labelled Marksman I think?) 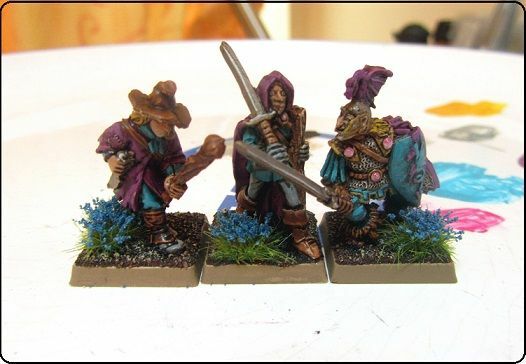 leading my Middenheim archers in a jaunty red hat! I like the drummer. 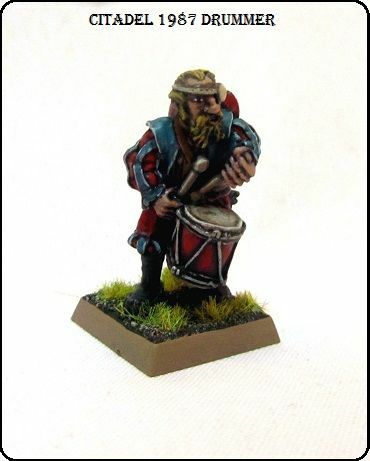 Not mormally a big fan of the old models (of wich I have quite a few myself) comparred to the newer ones, but this drummer, like the bard is really nice. 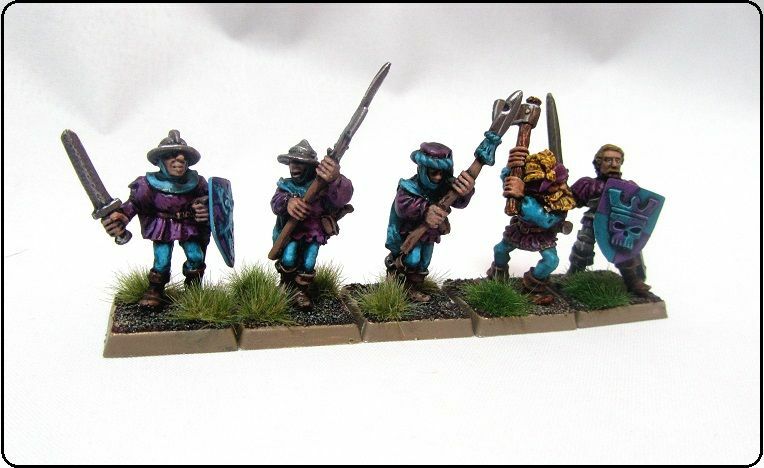 Could easely find use in an othervise "new models" army. And that said, its rather fun to see all these old models parade in this thread (like them or not), its a bit like going to the museum. And the paintjob is allways good. Love your quest (though it makes me feel a bit old as I remember a lot of them...) . Gents I've been busy with DIY , Baby and Work! WIP 40 Marauding Chaos Beserker Style AOV and GW mixed Dwarves for Bri's WOC army, to be used as Marauder's ...! I said I would paint them as an Xmas pressie! A never ending unit of slayers.. I think I am going to pass on a battle against them. it's a growing Ginger sea ! The rumours are true, I sold my baby boy to obtain the best cleric model GW ever made!